Art by Neil Googe. NOT from the forthcoming Flash Giant. 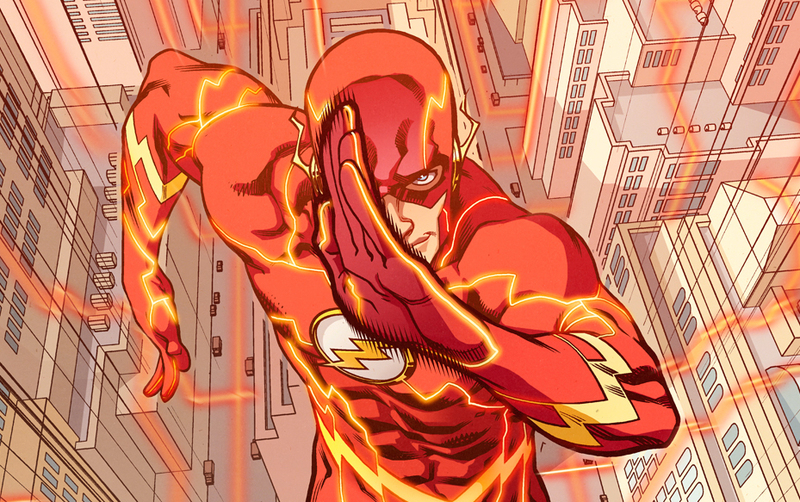 DC and Walmart are expanding their exclusive line of 100-page comics with two new ongoing titles this February — a Flash book and another to be announced — and two specials this fall. The first special will be headlined by Swamp Thing and is timed for Halloween. It’s due out about Oct. 7. The second is a holiday-season issue that is expected around Nov. 11. 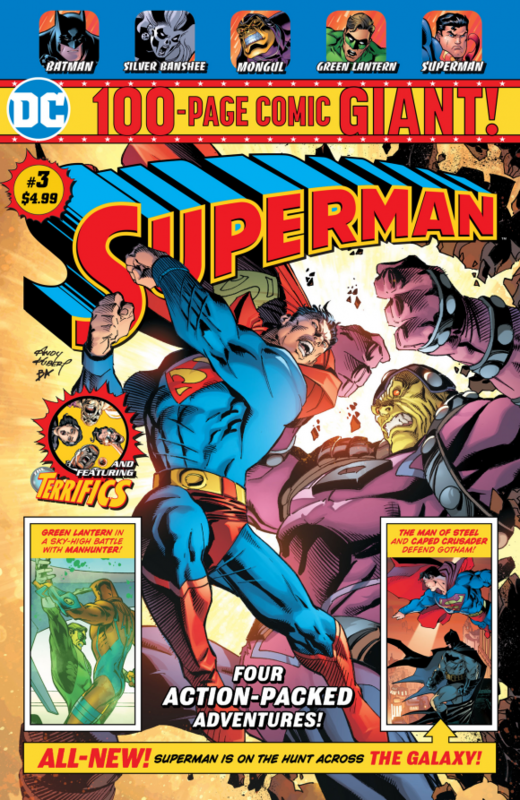 The announcement is evidence that DC’s partnership with the big box retailer has been a sales success, though I’m still not clear whether the four titles — Superman Giant, Batman Giant, Justice League of America Giant and Teen Titans Giant — are reaching new eyes or whether scalpers are effectively snapping these up. Either way, sales are sales. In any event, in case you were unaware, the 100-pagers — which launched earlier this summer (click here) — feature new lead stories by first-rate talent and are backed up by a battery of reprints, a la the 100-Page Super Spectacular issues of the ’70s. The expansion was first reported in the Northwest Arkansas Democrat-Gazette, which covers Walmart as a locally based company. Click here to check out the complete story — and DC honcho Dan DiDio’s comments on the line. — INSIDE LOOK: DC’s New Line of 100-Page Giants. Click here. — DC Unleashes Major New Comics Line With WALMART. Click here.